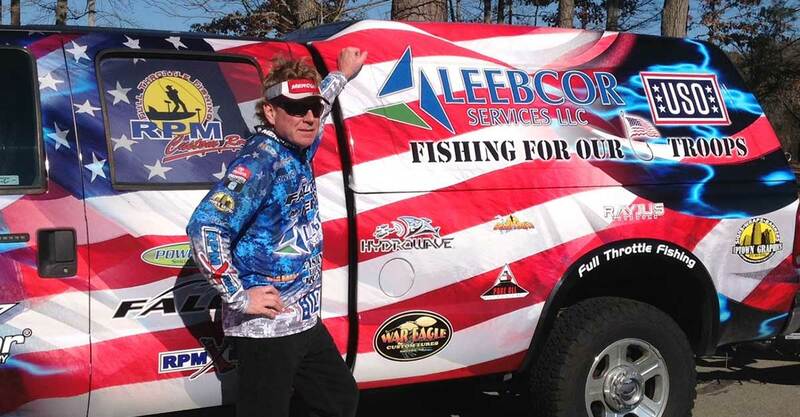 In 2017, the Fishing for Our Troops initiative was created by Leebcor Services, LLC, a federal contractor whose guiding mission is to help build a stronger military by providing world class construction services throughout the United States. For more than 77 years, the USO has connected America’s service members back to the things they have fought to defend: their family, their home and their country. No other military service organization is by the side of service members and their families in every corner of the world, and every step of the way. From the moment they join, through their assignments and deployments, and as they transition back to their communities, the USO is always by their side. But the USO is not a government agency, and relies on individual supporters to fund the programs that make the biggest difference for our service members. Donations made through the Fishing for Our Troops Initiative go to support the USO. Our sponsor professional B.A.S.S. Pro, Rick Morris, will be attending events to conduct fishing seminars and fun activities. A Virginia native, in 2017, Rick won the final Northern Open at the James River, which earned him a birth to the 2018 Bassmaster Classic at Lake Hartwell. Morris also finished high enough in the Southern Open point standings to qualify for the 2018 Bassmaster Elite Series.